How about this for a change to that painful FAFSA application form? According to reports, Secretary of Education Arnie Duncan has indicated plans to add a new button to the online FAFSA application. That one single button would authorize the IRS to fill in all the FAFSA required financial data directly from all relevant, filed tax returns. That’s right, a button that would authorize the IRS to collect, summarize and drop the pertinent data already submitted during prior tax seasons into the form in the appropriate places. And with that step, the form we all have to do to be eligible for federal financial aid, the form that everyone, sooner or later comes to despise might actually be on the way towards being reasonable and dare we say it, user-friendly. Now that would represent change we can believe in! It seems that at long last the U.S. Department of Education is about to streamline the indeterminate FAFSA form. Under President Barack Obama’s continued pledge to increase access to college, the DOE is about to eliminate 22 questions and some 20 different Web screens that used to appear when students filled out the FAFSA application online. Perhaps even better news for students and their families, instead of waiting weeks and months to get the results, the new application will be able to provide an estimate on the amount of aid students would be eligible for in the matter of seconds. All of the changes are seen by the Obama administration as increasing college enrollment. The steps come in direct response to data that indicates that one out of every five students that borrows for college does not fill out the FAFSA form. Many contend that the reason so many students skip the application has been the sheer volume of information asked for on the form. For everyone the form has been a massive headache, but for some, it has been seen as a barrier. According to the U.S. Department of Education, the FAFSA included 153 questions, some of which were not asked for when parents or the student filed their income taxes. 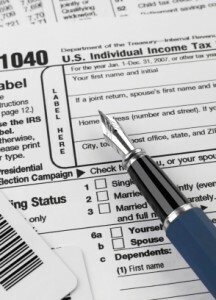 The sum total for the DOE is that the form has ultimately been more difficult than filing income taxes. The result, an estimated 1.5 million students who currently are enrolled in college likely qualify for Pell grants yet they never applied for them. While work is under way to streamline and simplify the form, the magic button noted by Duncan still is not ready. The goal for the direct upload of information to the FAFSA from the IRS is scheduled to be in place by January. So those of you about to enter your senior year in high school, and all those further out from applying, the new financial upload button should be in place by the time your turn comes. Perhaps just as importantly, Obama wants more streamlining for students. Reports indicate he is asking Congress to eliminate another 26 financial questions, all deemed to have minimal effect on how much aid a student is eligible for. Of course, while these steps will make it much tougher for us to dump on the FAFSA form down the road, we still wonder why it might not be possible to eliminate the application process altogether. Imagine if the government would, as a matter of course, determine a student’s eligibility based on a family’s tax return alone. Perhaps the government could even take the step of notifying students directly of their potential eligibility and do so as soon as the child enters public school. Now that would be real progress. Still, we will take the efforts of the Obama administration. Every single one related to the FAFSA is a step in the right direction. I just submitted the FAFSA and I was very impressed with how easy and quick it was. Given there is a lot of tax money being granted and loaned through the FAFSA, I see no reason to risk any simplification of the form.